Below is my impression of a visit to a psychiatrist’s office (those who still engage in talk therapy). In this little skit, the shrink talks and the patient absorbs what he can, even if it is not what the psychiatrist says. The patient, in turn uses what he hears to help himself with what is bothering him. 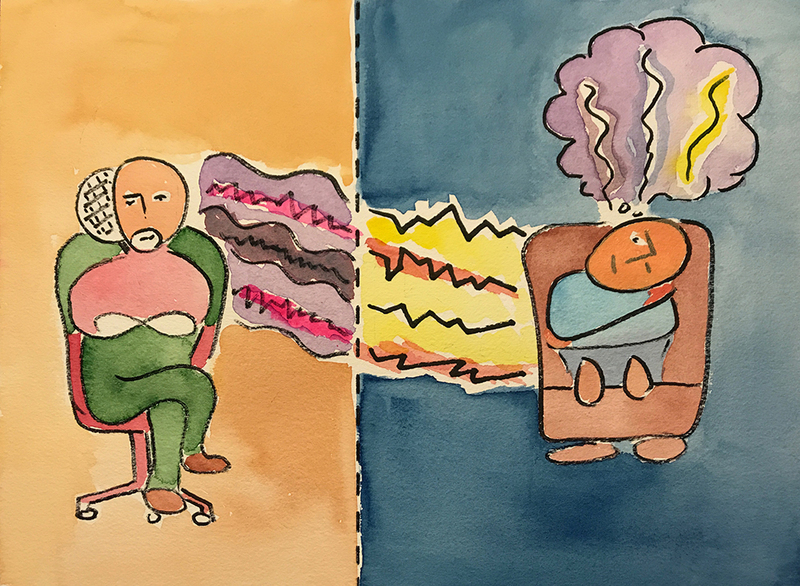 This entry was posted in Personal Stories and tagged artistic process, cartoon, communication, creativity, drawing, mental health, painting, psychiatrist visit, visual arts, watercolor. Bookmark the permalink.